A nonfiction book by Chelene Knight. 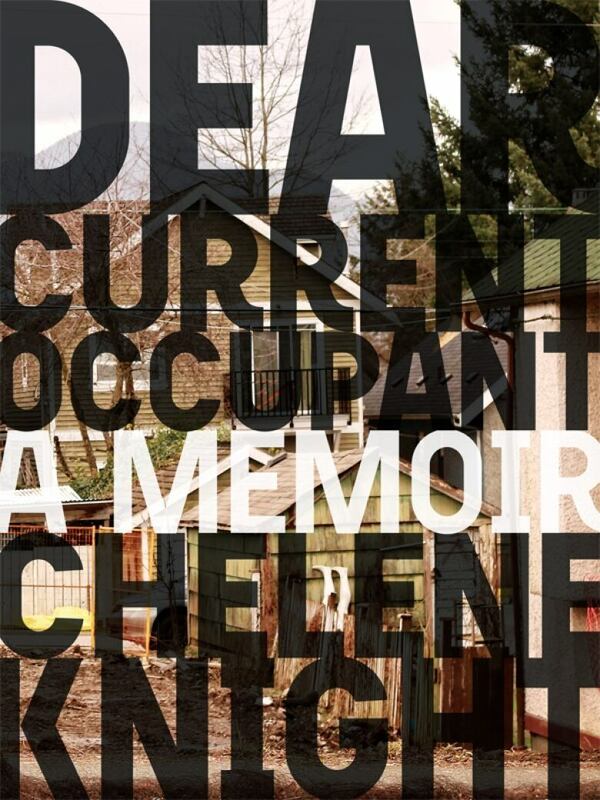 From Vancouver-based writer Chelene Knight, Dear Current Occupant is a memoir about home and belonging set in the 1980s and 1990s of Vancouver's Downtown Eastside. Using a variety of forms, Knight reflects on her childhood through a series of letters addressed to all of the current occupants now living in the 20 different houses she moved in and out of with her mother and brother. From blurry non-chronological memories of trying to fit in with her own family as the only mixed East Indian/black child, to crystal clear recollections of parental drug use, Knight draws a vivid portrait of memory that still longs for a place and a home. Dear Current Occupant won the 2018 City of Vancouver Book Award. "We always hear people say there are no black people in Vancouver, but there are. I identify as a black woman. I know there was a larger black community in Vancouver many years ago, but people have been displaced. I definitely want to reach people who not only are of mixed ethnicity but who also identify as black. I'm writing this for the community that I wish were here now. "I'm writing this for the community that I wish were here now. So whether you are black, of mixed race or can identify with the trauma parts of the book, I think there are different layers in the work where you can see something different every time. That's what I like with the hybrid form, of poetry and prose." See more in Chelene Knight's interview with CBC Books.